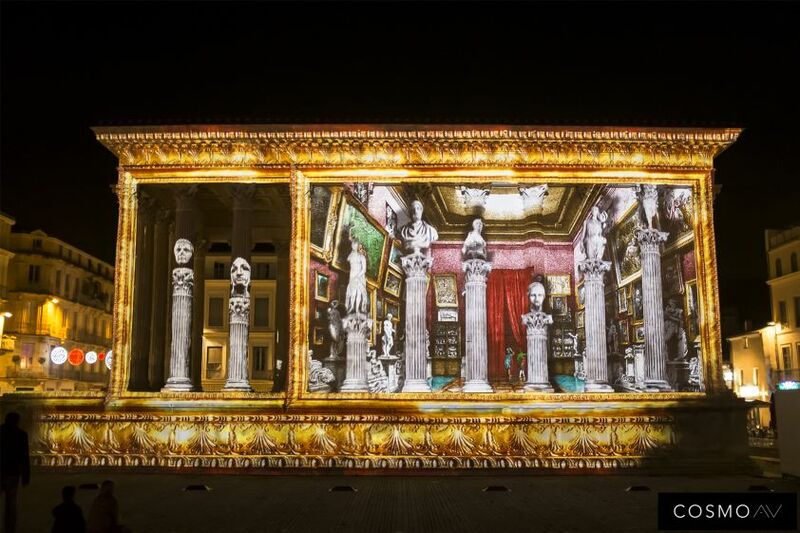 As every year, the city of Nîmes organizes its “Theater of Images” event for the end-of-year celebrations. 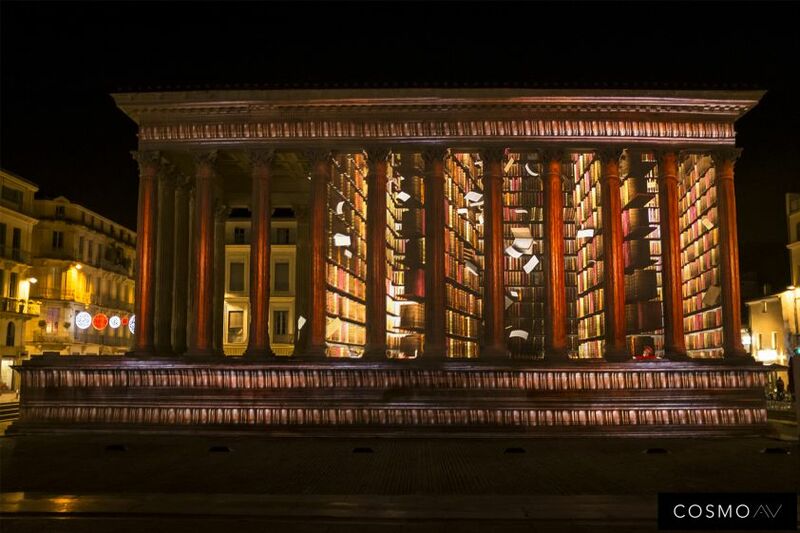 An opportunity to enhance the cultural heritage of the city and the authenticity of its monuments. 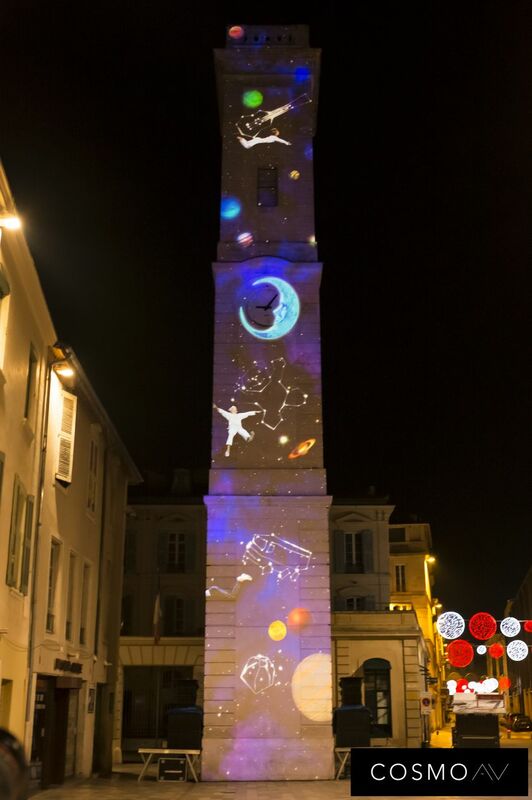 Cosmo AV has been part of this experience since 2008 and creates monumental projections on numerous buildings in the city, such as the famous Arenas, the old Nimes museum and the Saint Baudile church. 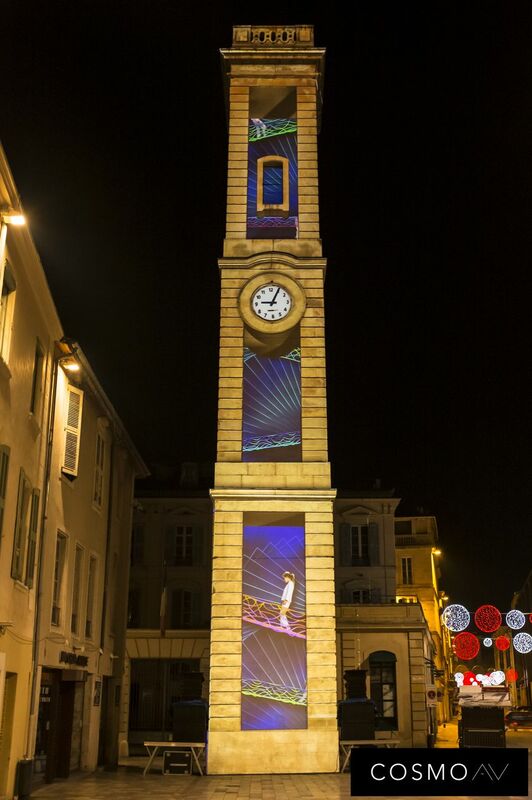 The city has chosen Cosmo AV to expose the history and heritage of 3 buildings in the city: The Square House, the Clock Tower and The Old Nîmes Museum. 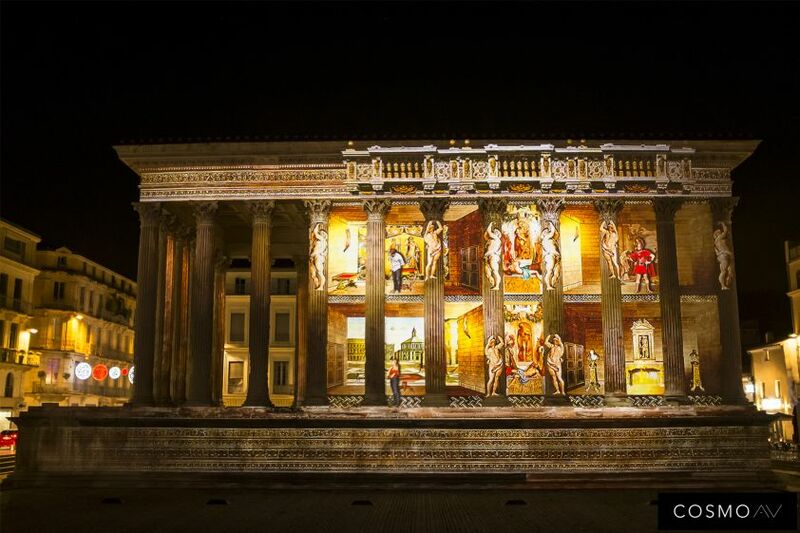 We take the Maison Carrée on a trip through time and return to the period of its creation in the 1st century AD. 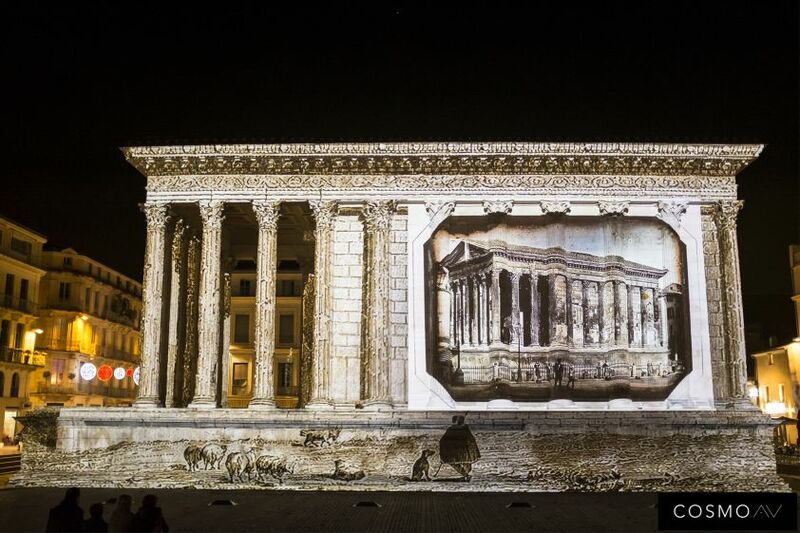 A legionnaire guides two travelers in an epic tale that traces the history of this Roman temple, the best preserved in the world. 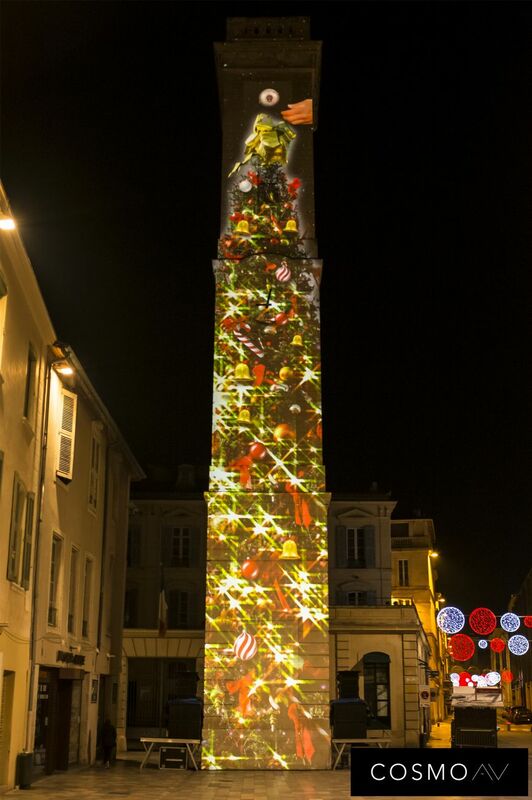 The spectacle of the Clock Tower is an ode to the innocence of childhood, to the waiting for the wonderful Christmas morning, dreams and hope. 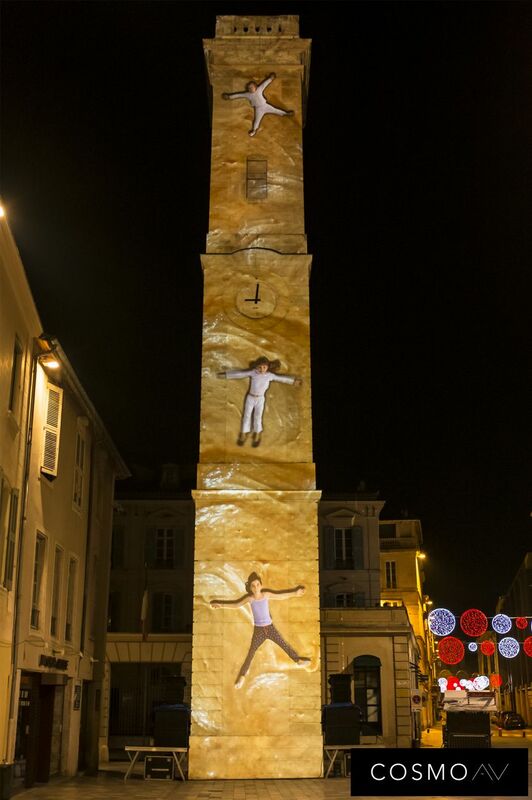 A family show that crosses space to meet the warmth of winter evenings. 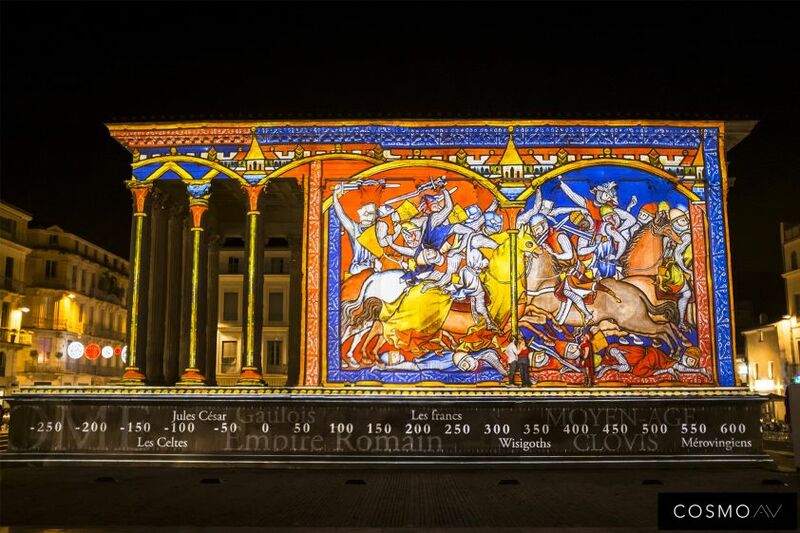 The last illumination takes place on the facade of the Museum of Old Nimes, on the side of the Place du Chapitre. A magic plume redraws the greatest tales of our childhood and transcends them in a colorful animation that is stirred to the rhythm of a sound design by Jordi Bonet.